Our guest is Jeff Fawcett – business man of the year, real estate investor and great raconteur. Jeff talks about balance between personal passions (golf, Italy, wine) and business. Jeff and wife Cindy are married 30 years and run a wildly successful insurance agency. His words ‘Balance leads to Passion, Passion leads to fun’. 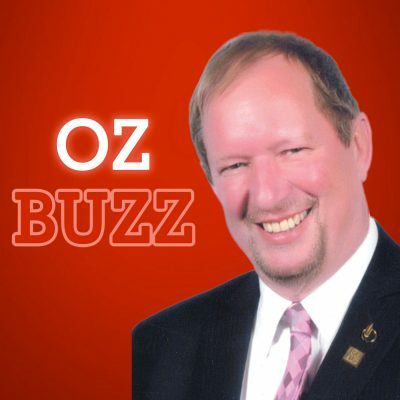 Oz Buzz Podcast #5: David Siebenga – Inventing Opportunities and What is a Security? Ozzie Jurock talks to Rick Dubord – http://homelifewhiterock.ca/Rick-Dubord – about how technology is changing the real estate business including artificial intelligence and disruptors such as Zillow moving into the Canadian market. They also discuss the new real estate reality in BC and how it’s affecting brokers and salespeople. It is a privilege to feature Kyle Green – http://greenmortgageteam.ca – Kyle has been working as a mortgage broker since 2006, and has carved out a niche as an investment property specialist since 2008. His years of experience working with the Real Estate Action Group and many other investors and investment groups has made him one of the go-to resources for financing investment properties in Canada. It is a privilege to feature Janet Lepage. How she transacted OVER $1 BILLION in real estate in under 5 years. Her company Western Wealth Corporation bought over 50 apartment buildings, 10,000 units in 5 CITIES across the US NATION in under 5 years! Won the Ernst and Young entrepreneur of the year for real estate and construction pacific region. I sit down with Brad Norman for an Expert Discussion on US Tax Liens and US Auction Deals. Real Estate Action Book 2.0 can purchased at http://realestateactionbook.com.